According to court documents and statements made on the record in court, between 2010 and 2016, SHVO engaged in a long-term scheme to evade payment of state and local sales and use tax on purchases of fine art, furniture, and jewelry. In communications with auction houses and art galleries, the defendant falsely represented that purchases he made would be shipped to an out-of-state address in the Cayman Islands or other overseas destinations, and therefore, no sales tax was collected. In fact, SHVO’s purchases were shipped to his office or homes in New York, including an apartment on Columbus Circle and a house in New York’s Hamptons. Two individuals, SHERIDAN C.T.S. HEDLEY (a/k/a “Tully Hedley”), 33, and GUY DRORI, 49, as well as their respective shipping companies, HEDLEY’S INC. and BESTGUY MOVING LLC, are charged with participating in the scheme by providing auction houses and galleries with shipping documentation that deliberately misrepresented the destination of SHVO’s purchases. In addition, SHVO fraudulently used New York Resale Certificates, which allow dealers to purchase items solely for the purpose of resale without paying sales tax, in connection with a number of personal purchases, including jewelry valued at more than $65,000 for his wife and furniture for his office in New York. In at least one instance, SHVO also evaded payment of New York State and local use tax on a new Ferrari 458 Spider that he purchased from an out-of-state dealer by establishing a limited liability company in Montana called SEREN LLC—named after the defendant’s wife—and registering the luxury vehicle to the company. In fact, no business was ever conducted in Montana and the vehicle was used in New York. In total, the defendant evaded payment of more than $1,000,000 in New York State and local sales and use tax. The defendant also engaged in a scheme to hide the assets of his company, SHVO ART LTD., from taxation and evade paying both New York State and New York City corporate tax on the profits made from the company’s sales of fine art and furniture. Between 2010 and 2016, SHVO made efforts to falsely portray the company and its assets as being located offshore, when in fact, the defendant operated the company out of his office and homes in Manhattan and the Hamptons. In total, the defendant and his company failed to file appropriate tax returns and evaded the payment of more than $275,000 in corporate tax. 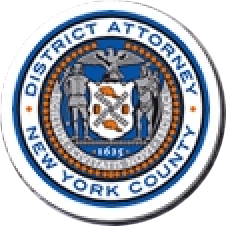 The Manhattan District Attorney’s Office’s Asset Forfeiture Unit has also filed civil papers against the defendant and two of his companies seeking the forfeiture of funds gained through the alleged crimes. In connection with its civil action, the District Attorney’s Office has secured a temporary restraining order restraining approximately $1.5 million of the defendant’s assets. Assistant District Attorney Lisa M. White is handling the prosecution of the case with the assistance of Assistant District Attorney Jeremy Pfetsch, under the supervision of Assistant District Attorney Anne Ternes, Deputy Chief of the Tax Crimes Unit, Assistant District Attorney Peirce Moser, Chief of the Tax Crimes Unit, and Executive Assistant District Attorney Michael R. Sachs, Chief of the Investigation Division. Former Assistant District Attorney Kim Han, former Deputy Chief of the Tax Crimes Unit, and former Executive Assistant District Attorney David Szuchman, former Chief of the Investigation Division, also assisted with the investigation. Assistant District Attorney Madeleine Guilmain is handling the asset forfeiture case under the supervision of Assistant District Attorney Lynn Goodman, Chief of the Asset Forfeiture Unit. Principal Investigator Chris-Ann Fenty, of the Forensic Accounting and Financial Investigations Bureau, and Investigator Anthony DiCaprio, under the supervision of Deputy Chief Investigator Jonathan Reid and Assistant Chief Investigator Michael Wigdor, assisted with the investigation. Investigative Analysts Quinn Cronan and Victor Hollenberg, as well as Senior Computer Forensics Analyst Avram Lansky, also provided valuable assistance with the investigation. District Attorney Vance also thanked the following agencies and individuals for their cooperation and assistance with the investigation: the New York State Department of Taxation and Finance and the New York City Department of Finance, and in particular, Group Chief Diomaris E. Ortiz, Chief Auditor Anna Bloodworth, and Director Robert B. Eisman. The charges contained in the indictment are merely allegations, and the defendants are presumed innocent unless and until proven guilty. All factual recitations are derived from documents filed in court and statements made on the record in court.